Shopping for Hunger Games Stickers? Why settle for any old boring band decal when you can decorate your laptop, school binder, or journal with this detailed, bold, and cool looking Hunger Games Movie Mockingjay Fire Sticker? Be the envy of all your friends when you stick this bad boy on your treasured belongings! 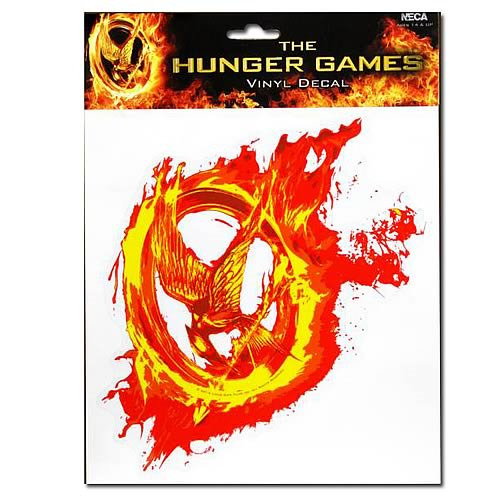 Decorate your favorite school accessories with the same symbol featured in the movie The Hunger Games with this Hunger Games Movie Mockingjay Fire Sticker. The vinyl decal measures about 9 1/2-inches tall x 8 1/2-inches wide. Ages 14 and up.